A modest price for a versatile crash! 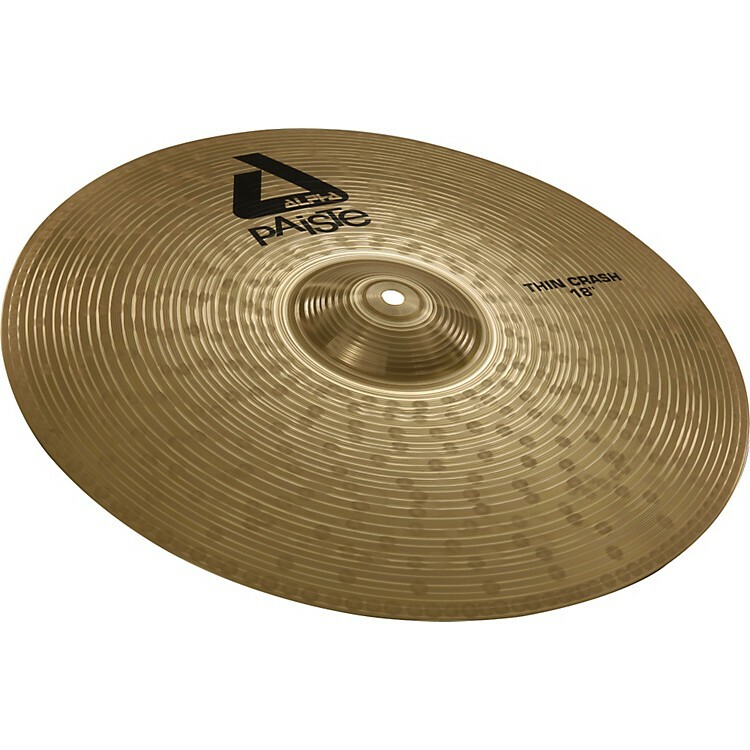 The Alpha Thin Crash cymbal has a medium bright, full, warm sound. Wide range, very complex mix. Balanced, responsive feel. A versatile, comfortable crash cymbal with an explosive sound character and hissing shimmer. Perfectly suited for all styles in moderate use. Alpha Cymbals were first launched by Paiste in 1992. Since then, the Alpha Series has been highly successful on an international scale. Today, the Alpha brand is synonymous with dependability, and the cymbals are well-known for their first-class sound and fair prices. In 2006, Paiste presented a completely revamped Alpha, which advanced these trusted qualities and took Alpha cymbals to a new level. In recent years, Paiste has invested heavily into the perfection of its high-tech processes, seeking to faithfully reproduce the principles of Swiss hand craftsmanship in its modern production facility in Germany. The updated Alpha cymbals are manufactured using this top-notch technology. They are then enhanced using traditional hand hammering. The combination of hi-tech and traditional methods brings about never before realized quality levels in a highly efficient production environment. Alpha cymbals thus fulfill high demands in quality and function while taking into account the financial realities of today's active drummers. Paiste designed the updated Alpha series specifically with the global demands of today's music in mind. Global music increasingly combines stylistic and cultural backgrounds into new musical forms, requiring cymbals with wider application range. By applying modern design concepts to the individual models, Paiste has met these requirements convincingly. The assortment offers a wide choice of models and sizes, and covers a wide range of music styles. It allows the drummer an optimal variety of sounds in the cymbal set. Despite all of these improvements, the company is offering the new Alpha cymbals at unchanged retail prices.